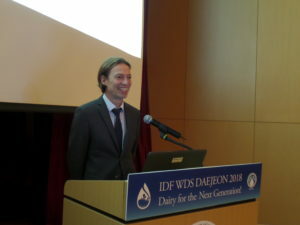 The International Dairy Federation (IDF) has a unique place in the history and procedures of the Codex Alimentarius Commission, serving as an essential technical advisor on all issues related to milk and milk products, said Codex Secretary Tom Heilandt. He noted the strong involvement of IDF in Codex conferences, attending 55 Codex sessions with 141 delegates in the past five years. Mr Heilandt also outlined the joint achievements of both organizations in the Codex Standards for Milk and Milk Products, Methods of Analysis, Labelling, Hygiene and Antimicrobial Resistance. Other areas of successful collaboration have been in the hygienic practice for milk and milk products, and the use of Dairy Terms. 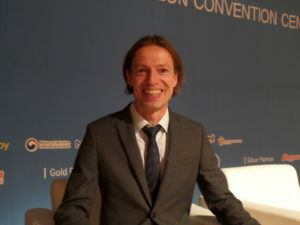 Another area of strong cooperation was in certification with the Model Export Certificate for Milk and Milk Products, as well as work on the General standard for Cheese, said Mr Heilandt, emphasizing the importance of collaboration by relevant stakeholders to achieve standardization and food safety.